Lately, our dinners have been last minute + pretty make-shift. Tortilla pizzas for the win! While sometimes those dinners are delicious and create little cleanup, they also don't offer leftovers that can be eaten for lunch the following day. So, I'm on a mission to come up with a handful of new recipes that work as dinner, lunch, or leftovers. I also want to focus on simplicity and fresh flavors. This recipe is just that. While you could get fancier adding a little sweetness, mustard, garlic, or the like, it's really not necessary at all. A sprinkling of fresh herbs on top is really all you need as the finishing touch. By the way...can I just say that I am loving my lemon thyme + oregano plants so very much! I can't believe how lemony the lemon thyme actually is! If you're new to millet it's a definite must try. It's a bit thicker + chewier than quinoa with a less earthy flavor. 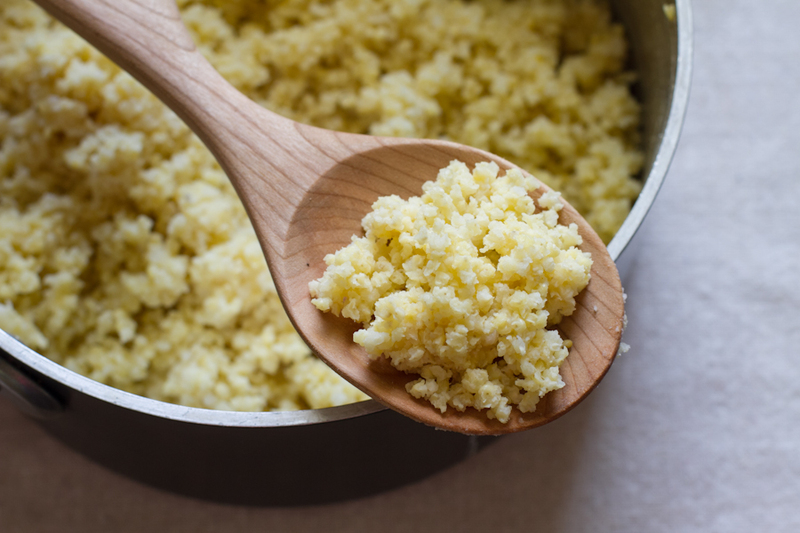 My favorite way to cook millet can be found in this post. I typically cook it with no oil and only water, but adding a little oil in the pot before cooking and using half veggie stock-half water is also a great option for more flavor. 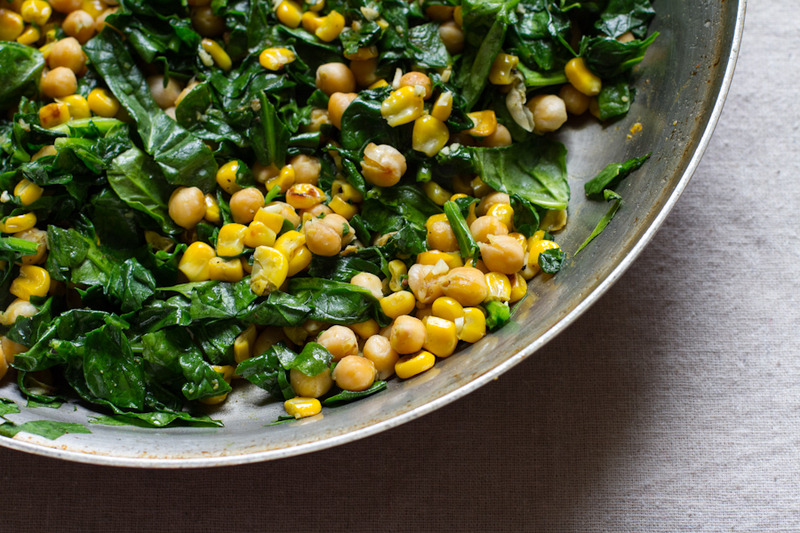 As the millet cooks you can work on the chickpea, corn, and spinach mixture. I again went simple with the spices using only garlic, cumin, salt, and pepper. I am loving the pairing of cumin + lemon! I would definitely call this a 30 minute meal. And after it's done cooking you can serve it up hot or let it chill in the fridge and serve cold. toppings: fresh thyme, oregano, avocado, pepitas, hot sauce, etc. Pour 1 tablespoon safflower oil [or other cooking oil] into a large pan over medium heat. Once hot, add the chickpeas and cook for 5 minutes, stirring occasionally. Add the corn and cook for another 7-10 minutes until the beans + corn are starting to turn golden brown. Add in the cumin, garlic, and a big pinch of salt + pepper. Stir for about 30 seconds until the garlic is fragrant then stir in the spinach and cook until just wilted [about 2 minutes]. Remove from heat and toss with 3 cups of millet, then refrigerate uncovered until fully chilled. Stir the mixture while chilling to speed up the process. Combine the olive oil, 3 tablespoons lemon juice, lemon zest, and a pinch of salt and pepper in a jar and shake vigorously to combine. Pour desired amount of dressing over the chilled millet mixture and toss to coat. I used nearly all of it. Or, leave undressed and portion out dressing to package up and take to work with you if desired. Taste and adjust salt + pepper and add more lemon juice if desired. Finish each serving with a sprinkling of fresh herbs + avocado. Or, place in an airtight container in the fridge until ready to eat. Keeps for about 2 days after dressing. Fresh. Simple. Leftover-friendly. Mission complete.